"I could feel that she remembered us. She was just jumping and going crazy." 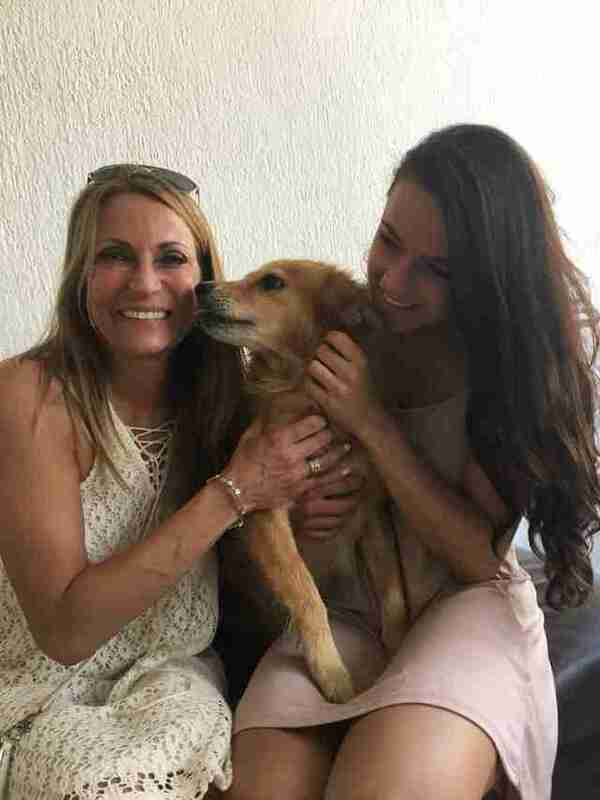 Two years ago, Laurie Webster and her family, of Illinois, were on what was intended to be a leisurely beach vacation in Cancun, Mexico, when they were suddenly compelled by a higher calling — to help save the life of an animal in need. On their very first night there, as the family stepped out from their resort to have dinner, they happened upon a sight that broke their hearts. Huddled all alone on the sidewalk in front of them was a dog in clear distress. "She was curled up into a ball," Webster told The Dodo. "She was obviously sick, missing most of her hair. 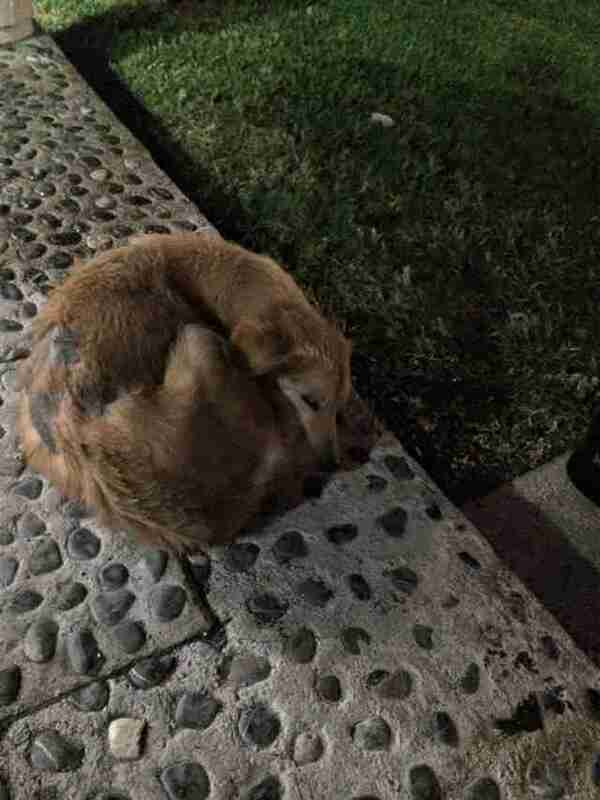 She was just laying there, and people walking by were just ignoring her." That was the moment that the vacationing family's priorities changed. "My daughter looked up at me and said we had to do something," Webster explained. Back home, Webster and her family had been involved in rescuing and fostering many needy dogs — but there in a foreign land, it was unclear at first whom they could turn to for help. That didn't stop them from trying, though. Webster's daughter carried the dog to the shelter of a nearby kiosk, and with the help of a person working there, began making calls. "We tried calling many places to help, but it was late on a Sunday night, and rescue centers there are far and few between," Webster said. "We started calling vets, and found one open for 24 hours. 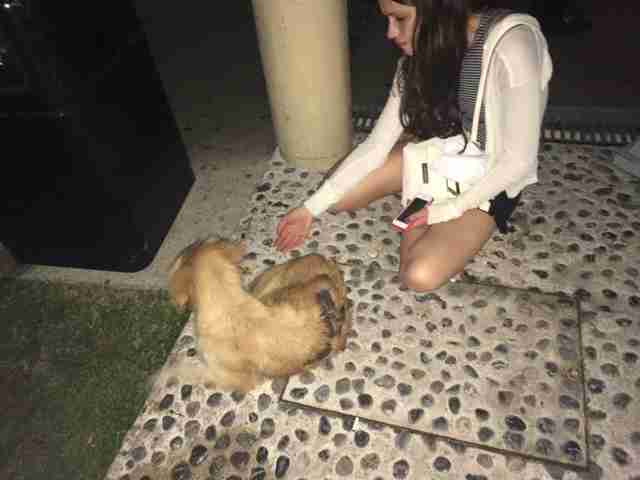 He told us to bring the dog there, so we took a taxi into downtown Cancun and found the vet's office." The vet's office, run by Dr. Antonio Ortuño, wasn't quite as Webster had expected. Rather than being a dedicated facility, it was actually just a space inside the apartment Ortuño lives in with his family. What it lacked in amenities, however, it more than made up for with the vet's dedication. 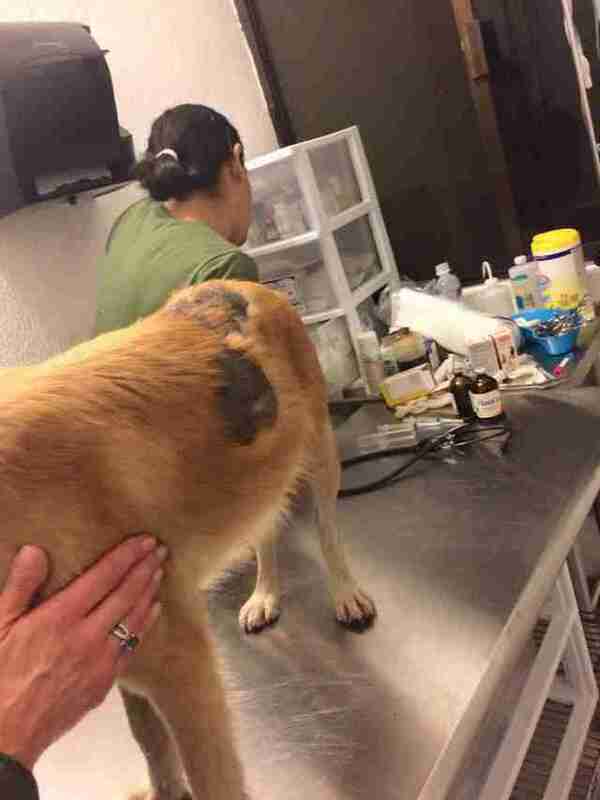 Ortuño determined the dog had mange and other health problems, and volunteered to keep the dog safe as Webster tried to figure out what to do next. "The next day, I started researching what it would take to get the dog back to the United States with us," Webster said. "But it didn’t seem like there were many options." Because the dog had unresolved medical issues, getting her certified to fly back to Illinois with them seemed virtually impossible. So, Webster arranged to pay Ortuño to continue to house and treat the dog until she was healthy enough to leave the country. She even started a fundraiser to help with the expenses before flying home from Cancun. 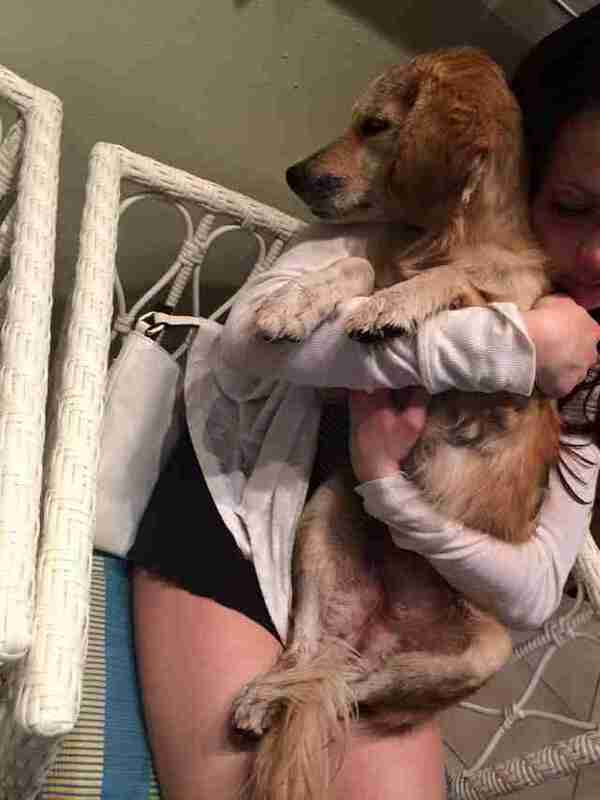 "Our whole vacation became about saving this dog, and getting her healthy," Webster said. Once back home, the dog, now named Rosie, never left Webster's mind. She kept in close contact with Ortuño, doing her best to ensure that Rosie got everything she needed. In turn, the vet kept Webster and her family updated constantly about the dog's progress. In addition to her skin problems, Rosie was found to have heartworms. That slowed her recovery, but as weeks turned into months, her condition eventually improved dramatically. She looked like a whole new dog. When the time was right, Webster had been planning to help Rosie find a forever home with someone in the United States — but then she learned that the dog had become more than just a patient for Ortuño over their time together. "One day, the vet tells me that he, his family and his dog are attached to Rosie, and he asked me if they could keep her," Webster said. "He loves her so much. It means so much to me that he chose to keep her." 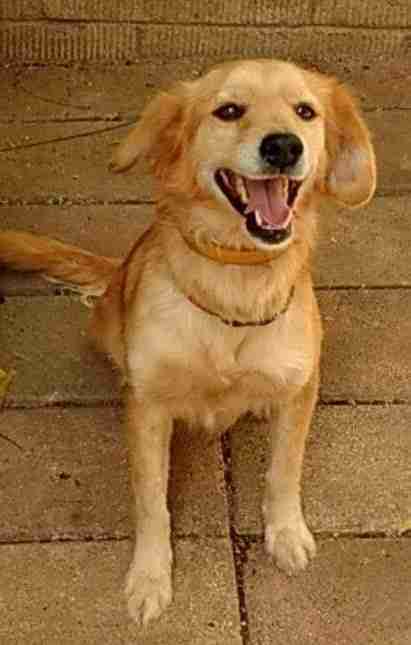 Webster's goal all along was to provide a happy ending to that sad, lonely street dog. And that's just what Rosie got. But this isn't the end of their story. Two years after their last trip to Cancun, Webster and her family returned for another vacation — and to reunite with Rosie. Though years had passed since they were last together, and Rosie was now unrecognizable from her former condition, she embraced them like old friends. "I could feel that she remembered us," Webster said. "She was just jumping and going crazy as soon as she saw us." Rosie had come a long way, thanks to Webster and her family — strangers who, one dark night in 2016, became her very first friends. Now she had the strength to return the love to them. "She covered us in kisses," Webster said. "I believe that was her way of thanking us."